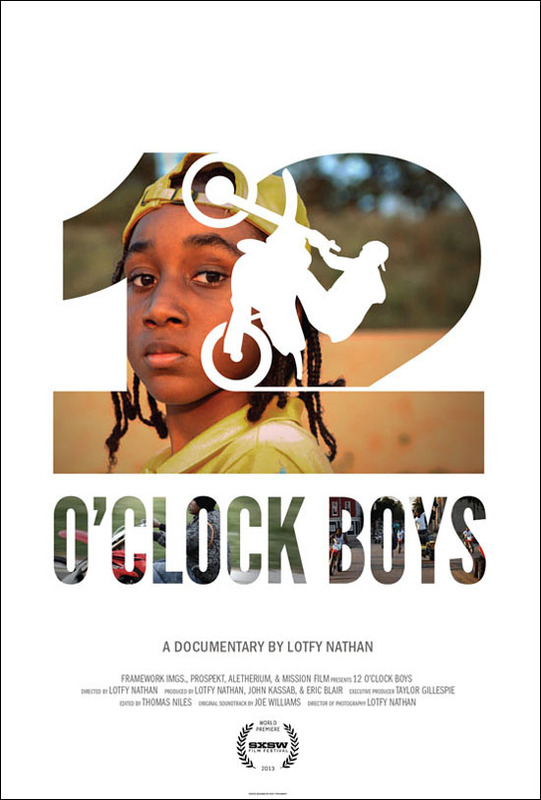 12 O'Clock Boys was my most anticipated documentary of SXSW. With great expectations sometimes comes at least moderate disappointment. 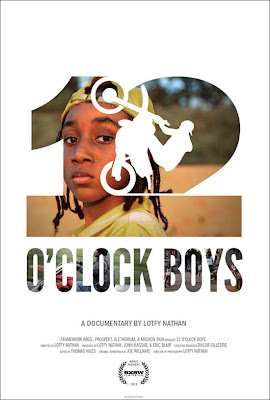 12 O'Clock Boys has many merits but it failed to deliver fully on the promise it had captured my imagination with. That of getting to both witness and to an extent better understand a vibrant sub-culture in I'd never myself get to be a part of. It's got some unbelievably fantastic visuals and an amazing premise. For the former alone I think it's worth a watch, but be aware it may leave your curiosity somewhat unsatisfied. The picture follows a few years in the life of Pug, a pre-teen whose goal in life is to join the 12 O'Clock boys. The crew in question is a Baltimore based collective of dirt bike (and ATV) riders who enjoy the occasional Sunday jaunt through the city's streets. Pug practices his moves on a small ATV as his mother (Coco) worries that he's got his motivations mixed up. All the while raising her children and dealing with tragedy in a tough environment. The action follows Pug's ups and downs closely, at the cost of going deeper into the outlaw bike culture that at least for me was the main draw of the film. I'd never heard of this group or this uniquely Baltimore activity, but the rebel concept and fantastic trailer drew me in for the picture's first SXSW screening. I respect the director's choice to take a fly on the wall approach to things focused on Pug. But I think it reduced the opportunity to more deeply cover the actions of the 12 O'Clock Boys and the actual members' lives and motivations. One of the few onscreen interviews with Steven, an adult member is all too brief. He mentions he no longer rides illegally, playing a supportive role. The value of which is clear given the police focus on tracking the bikes both on the streets and from the air. There's one of the few less urban onscreen moments where he takes some of the young wanna be riders out to to work on their skills in a safer environment. I can't help but thing that he and some of the older participants would have made for a richer take on the material. Albeit perhaps without the more familiar coming of age narrative arc Pug affords. There's mention that the group has been involved in fatal incidents - but implicitly suggests those come only when the police chase them. I never really understood what the local dynamics were, who the riders were and what had them taking to the street on what I feel I know from The Wire as "church day." There were multiple media mentions about the scourge of these Wednesday ride alongs - but little investigation as to where the truth lay. The site of the riders is awesomely impressive as they flow as a noisy swarm, often balanced on only half their tires. Director Lotfy Nathan nails the visuals - his high def, slow motion photography of the 12 O'Clock boys is true onscreen poetry. Alone reason enough to see the film on the big screen. It's when he switches the focus back to Pug that the story is interesting, often wrenching but somewhat more familiar. He has a gift with animals and a desire to become a veterinarian - a challenging goal I sincerely hope he achieves. Maybe he'll get to ride with the big boys as well, but as ambitions go it's a bit harder to root for. Throughout, bike gang (and I'm not sure that's the right term) is kept at a distance. Leaving one to wonder who they are, why they do it, and at what risk. These are all questions I left the theater wishing I'd seen more answers to. Or barring that at least seen more footage of the group in action. Some pictures from the film's SXSW post-film Q&A follow.